Every year the Kent Downtown Partnership hosts a fun-filled dinner auction to help raise funds for promoting downtown Kent and supporting economic development. This year’s theme is The Wild West, and it promises to be a rootin’ tootin’ good time! Buy a ticket to attend the auction on Friday, June 3 (5 to 9 p.m.) at ShoWare Center. Tickets are $75 per person. 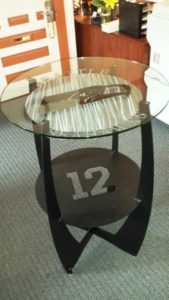 In addition to dinner, guests can participate in the auction to get a chance to bid on trips to Cabo and Hawaii, a Seattle Thunderbirds’ suite, a kids’ birthday party hosted by Kent fireman, a catered party for 20 from Down Home Catering, a Kent Police ride-a-long, a custom-made Seahawks cocktail table (pictured at right) and much more! Serve as an event sponsor. Sponsorships range from $100 to $3,500, each with a different level of visibility in marketing materials and at the event. 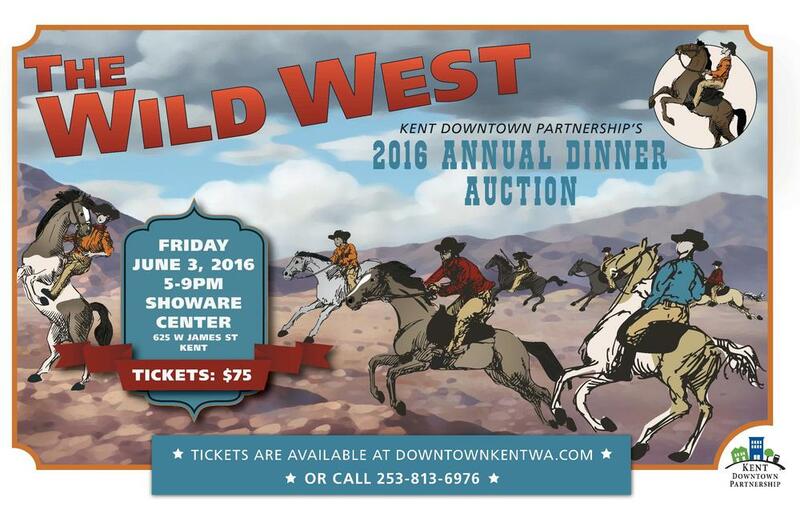 Purchase your dinner auction ticket or become a sponsor TODAY by contacting Barb or Lyra at KDP at 253-813-6976.